[caption id="attachment_946" align="alignright" width="502"] Napkin Service[/caption] Colored napkins make your dining area pop. 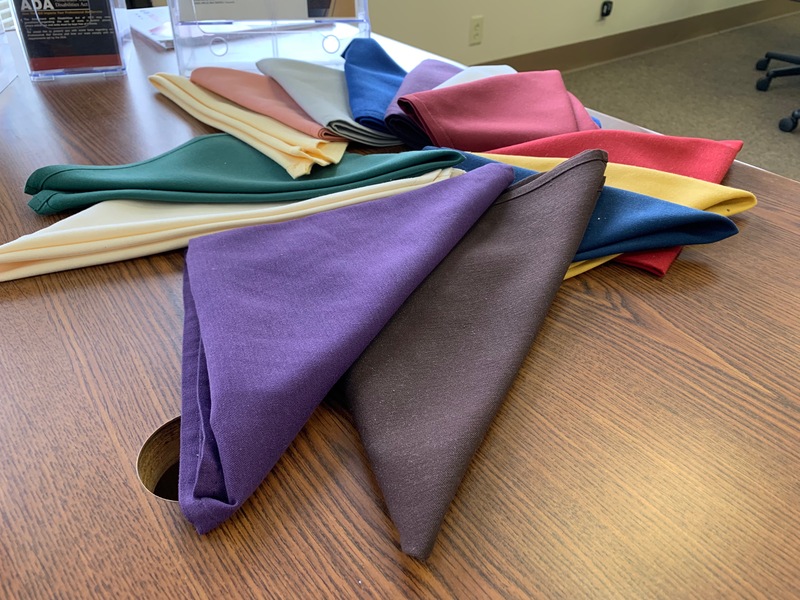 Using a Napkin Service to deliver them means that you will get fresh, clean, brightly-colored napkins every time and not have to worry about faded or dirty napkins in your dining area. No two companies are alike, and neither are their linen service needs. Even businesses that offer the same or similar services will do it in different ways. They will have different clientele with their own needs and different ways to serve people. Restaurants require different linens than hospice centers. Italian restaurants require different linens than cafeterias. Every business has separate requirements, and they know them better than anybody. So why do many linen companies require companies to sign up for a one-size-fits-all plan on linens? Linen service programs that fit your needs are the primary focus at Tipton Linen. When we build a linen service program for a business, we take into account their needs. We make sure to note their strengths and weaknesses and when they need linens the most, to make sure that they get what they need on time. Since different businesses need different linen services, we need to make sure that each company has its own individually built program. One-size-fits-all just doesn’t cut it in our industry anymore. So that is what we deliver. A personalized program for each company. Whether you need table linens, mops, aprons, towels, bar towels, bed linens, paper products, air fresheners, mats, dust mops, shop towels, microfiber wet mops, gowns, napkins, chef coats or jackets, Tipton Linen will provide them clean and fresh for your business on a regular schedule to keep you going. You will notice the convenience and professionalism of Tipton Linen when we save you time and money on your cleaning and linen budget. You will notice the time and money you save every month, and the customers that come back to you for your clean and crisp linens and textiles that set you apart from your competition. The Tipton Linens Difference is in our work ethic and our commitment to our customers. Dare to compare us to your current linen company by calling us today at 1-800-533-5670 or visiting www.tiptonlinen.com to learn more or request a quote.